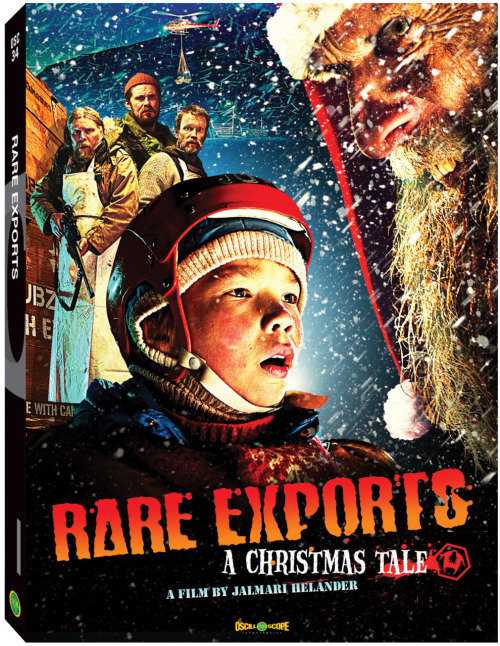 A first look at the DVD art for RARE EXPORTS: A Christmas Tale!! Are-imagining of the most classic of all childhood fantasies, and is a darkly comic gem soon to be required perennial holiday viewing. A first look at the DVD art for RARE EXPORTS: A Christmas Tale!! A re-imagining of the most classic of all childhood fantasies, and is a darkly comic gem soon to be required perennial holiday viewing.